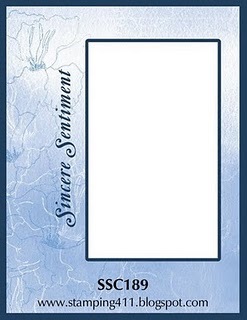 I worked this up for this weeks' Saturday Sketch Challenge over at Stamping 411. I really love the sketch this week! So totally beautiful! I love the paper rose and the gorgeous border! So stinkin' cure. Love the colors and your coloring is fabulous! WOW this is stunning!! 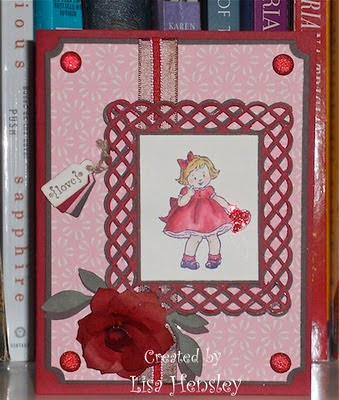 Love the paper rose, and the fabulous border around that little cutie! Wowza! That border is 'da bomb! Awesome card! Wow! Love all the details on your card! Gorgeous!